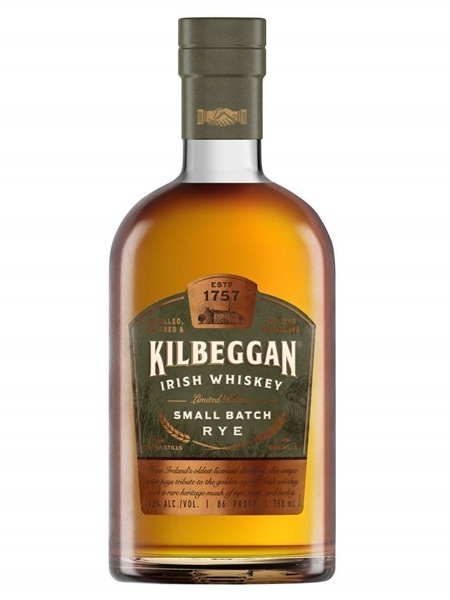 This Kilbeggan is a landmark release as it marks the first commerical release of Kilbeggan distilled spirit in over 50 years. The Kilbeggan distillery was founded back in 1757 and was in production for 200 years before closure in 1957. Silent for 50 years it came back into production in 2007. At that time, it was distilling wort which came from the parent distillery in Co. Louth - Cooley. It wasn't until 2010 that the distillery became fully operational again with the installation of a mash tun and fermentation vessels. Master distller in Cooley at the time, Alex Chasko, was instrumental in the humble beginnings of this special release, where rye was re-introduced to the mash-bill of usual barley. This small batch release is made from mashes of up to 20% rye, with the remainder being a 50/50 malted/unmalted barley mix. It was distilled back in 2011/2012 making the whiskey 6-7 years old. The whiskey was matured in ex-bourbon barrels and released at 43% ABV.